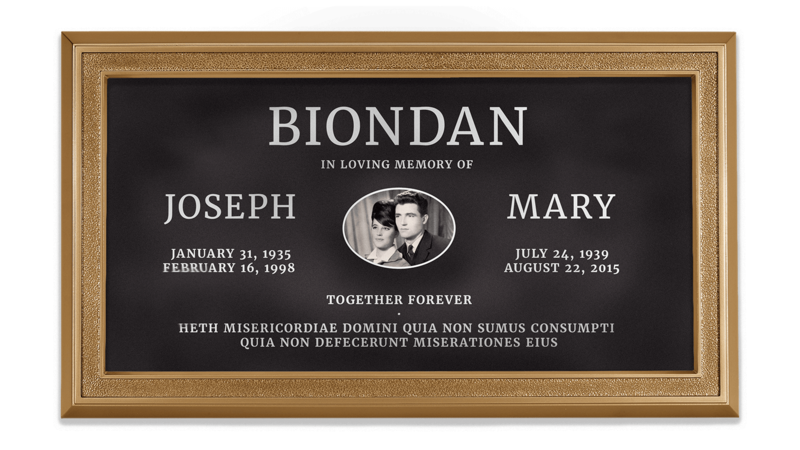 With Biondan Safety Plaques you can fulfill your customer’s needs while saving costs and avoiding risks. 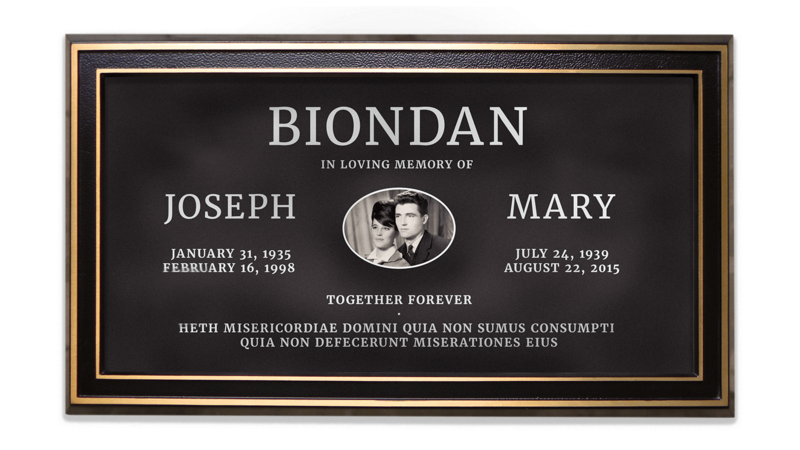 Our Safety Plaque come treated with our proprietary protective coating. Formulated to withstand corrosive atmospheres and environments. 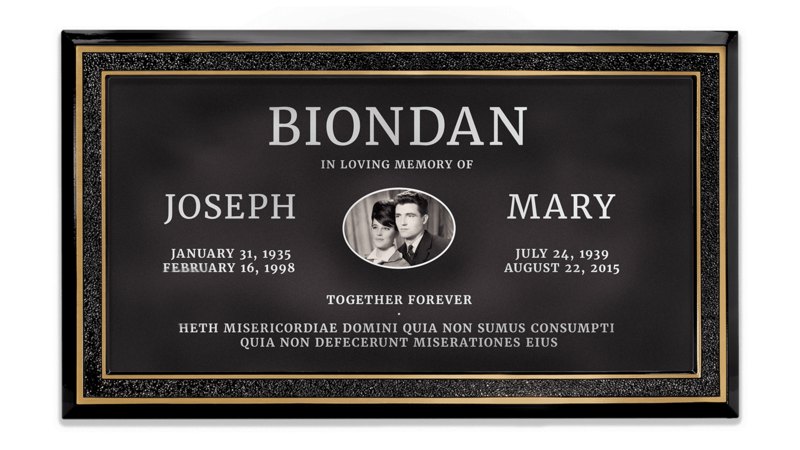 Biondan Safety Plaques offers great savings to your mausoleum projects. 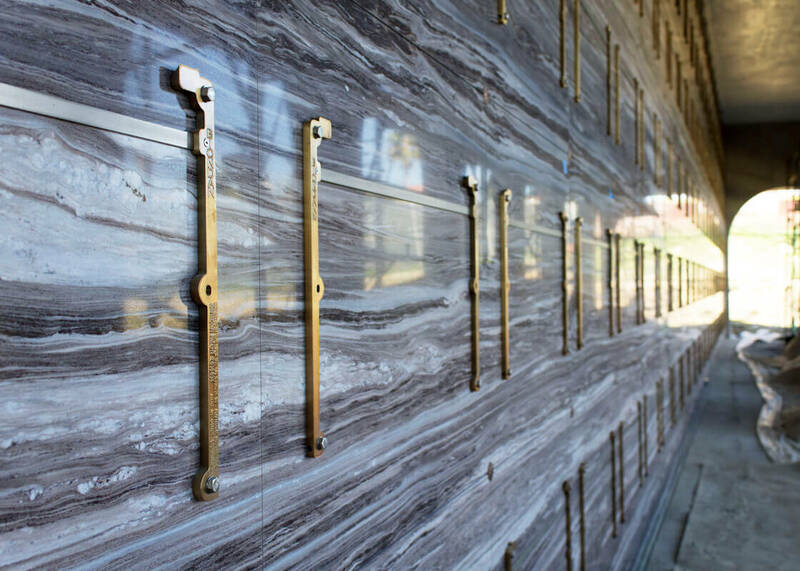 Capitalize the products' costs into the construction budget, reduce installation time, and mitigate the risk of a costly accident. 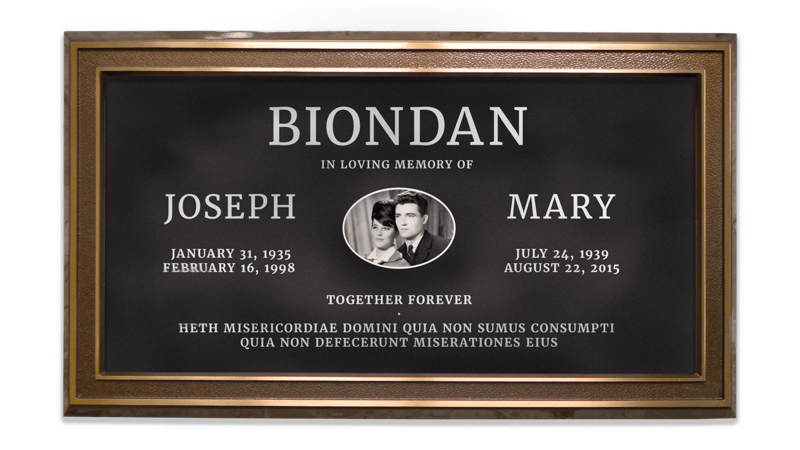 If there is ever a mistake on an inscription — the insert is easy to replaced, saving you from the potential risk and cost of inscription errors associated with sandblasting the crypt front. 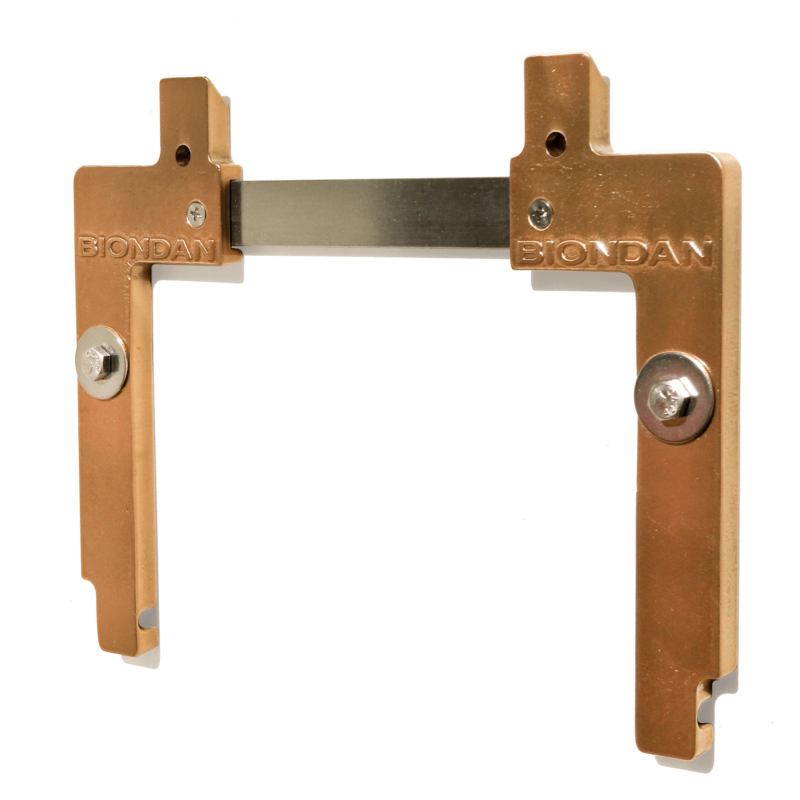 Standard Frame Profiles are consistent for a consistent look throughout your applications. Up sell with Accessory Frames with space for vase, light and emblem opportunities. * Does not contain space for Emblems as is smallest possible size. 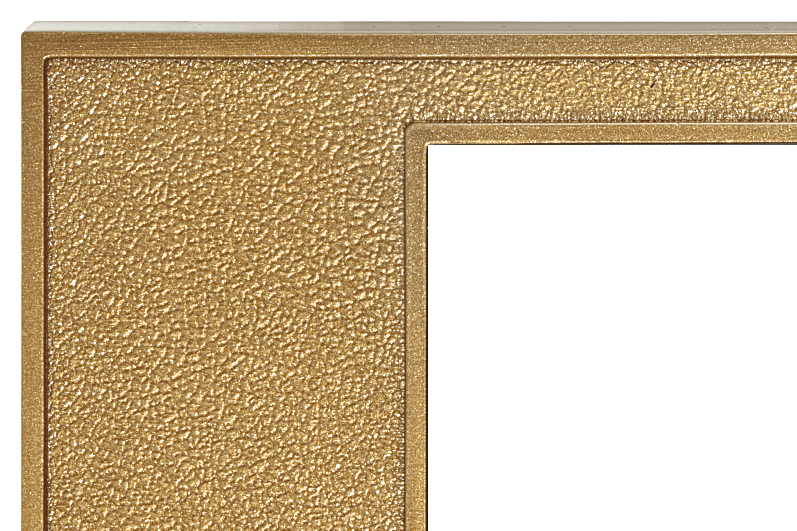 Secure the Frame — Secure the frame into place with our security screws. 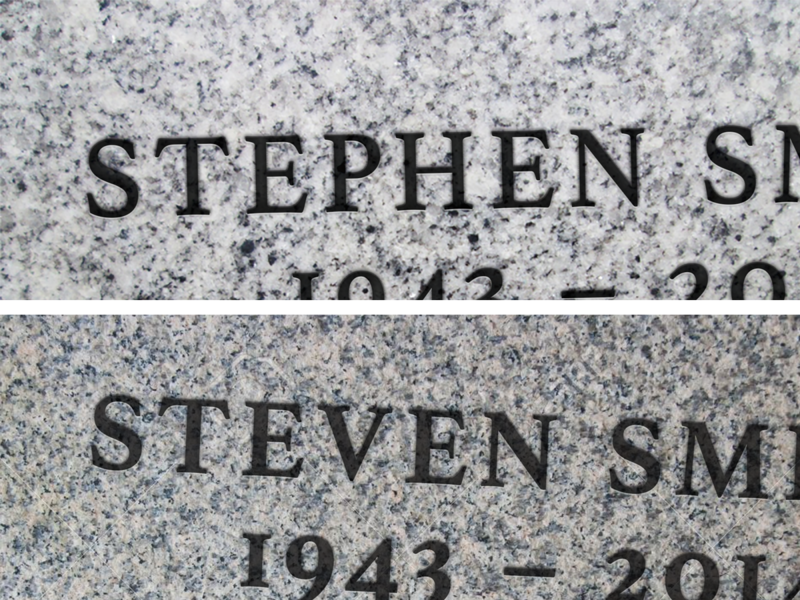 When a second inscription is required, groundskeepers can easily pull out the insert to take it to the inscriber. 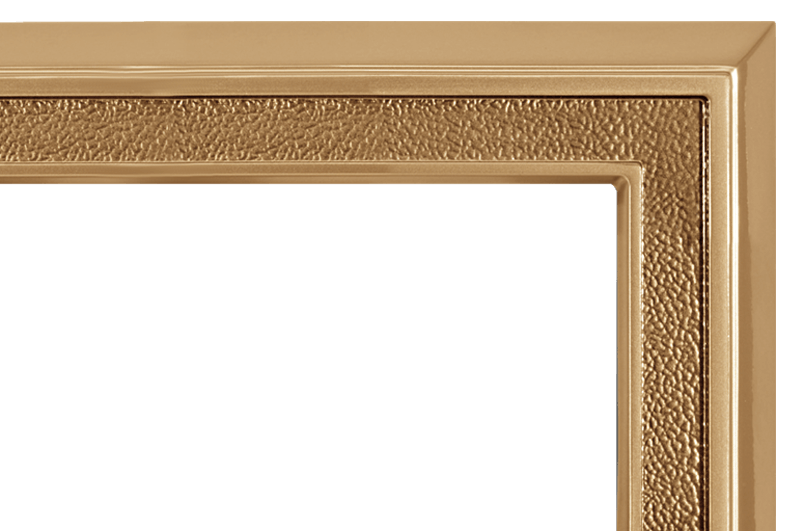 When the inserts are prepared, just remove security screws and lower frame to attach the insert to the frame.